Distance : 8.4 Miles, Approx 4.5 hours. This hike starts on Bell Trail along Wet Beaver Creek Canyon where you will see the flowing water of Beaver Creek. You then make a steep climb up the north wall of the canyon with views of redrock on the lower strata with lava rock on top. We measured an approx. 1268 foot elevation change. With a second car for pick up you could hike another 3 miles to end near the lookout tower on Apache Maid Mountain. We stopped at the peak for views and returned to the trailhead parking area. 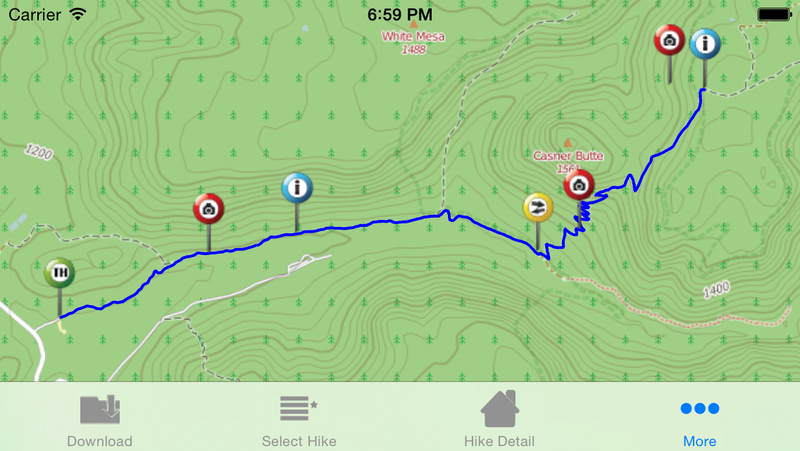 Shares trailhead area with White Mesa and Bell trails.